Well Readers Mine, we've reached the end of Season 5.1 with last night's "Gliding Over All." If you haven't watched the episode yet, stop reading, and come back after. Trust me, you really don't want to get spoiled on this one, so with that said: !! !SPOILER ALERT!!! Skyler and Walt (Anna Gunn and Bryan Cranston) survey Walt's 401k. The fly Walt stares at so intently as Todd reports back from having Mike's car destroyed recalls Walt's long night of the soul in Season 3's "Fly" (3.10) where he teeters on the brink after killing Jane and indirectly causing the Wayfarer 515 collision, but ultimately decides he can live with what he's done, what he's doing, and who is is becoming. During Walt's first conversation with Lydia in the coffee house, after she's pitched the idea of expanding Walt's empire into the Czech Republic, Walt tells her to "Learn to take 'yes' for an answer," thereby repeating the advice given to him by Mike in Season 4's "Thirty Eight Snub" (4.02) when Walt has won his place as Gus' cook through the death of Gale. Later, after the deal is struck, Lydia offers her hand, and unknowingly quotes Tuco Salamanca in "A No-Rough-Stuff-Type Deal" (1.07), as she tells him "We're gonna make a lot of money together." Sitting in a crappy motel room with Todd's prison-gang connected uncle and other Aryan Brotherhood types, Walt is confronted with the same painting showing a man in a dingy rowing away from his wife and child on the shore towards a ship anchored on the horizon that hung in his hospital room in "Bit By A Dead Bee" (2.03) after his "fugue state." After his biannual PET/CT scan to check on his cancer, Walt comes face to face with the still-dented paper-towel dispenser he repeatedly punched at the end of "4 Days Out," when he is given the news that his cancer has gone into remission, and thus that his excuse for doing the things he's been doing no longer exists. Finally, after Walt has paid off his debt to Jesse and supposedly gotten "out," the familiar scene of a White/Schrader family cookout around the White family's pool opens with shots of a dripping garden hose, a colorful mobile/wind-chime, and a beetle crawling along the top of an adobe wall, the same sequence of shots which opened the black and white cold opens of the first and last episodes of Season 2, "Seven Thirty Seven" (2.01) and "ABQ" (2.13). These incidents are more than just a review/reminder of seasons past for the viewer, but milestones along Walt's "voyage of the soul," markers of where he has been and how he came to where, and who he is. So too do they sing of "death, many deaths." Jane, Wayfarer 515, Tuco, Mike, Gale, Gus, Hector, Krazy 8, Emilio, and finally nine men Walt didn't even know. These are the places Walt has been on his voyage from milquetoast high school chemistry teacher to ruthless meth kingpin. "To my other favorite W.W. It is an honor to work with you. Fondly, G.B." Already some bloggers and recappers are referring to the "poetic justice" of all of this, but this is more than a bad pun. Instead, despite his cold and ruthless attitude this season, it is Walt's sentimentality and pride which proves his undoing. 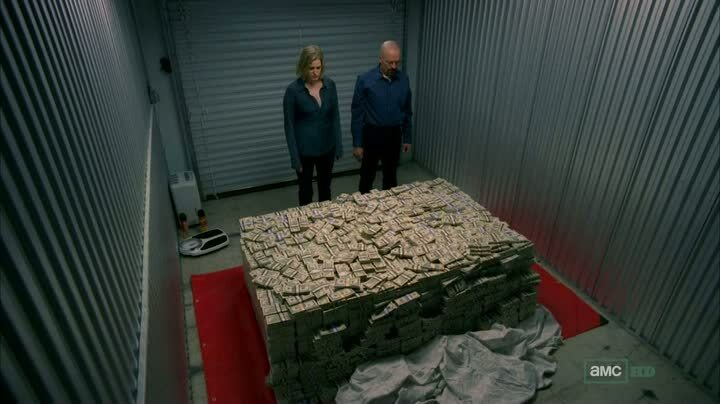 For the book, the watch, the ricin are not just mementos, but trophies, icons of the "victories' Walt thinks he's won. Unfortunately for him, he had no one to whisper in his ear at the moment of his triumph and remind him of his own mortality. At least, no one he would listen to. Unfortunately for us, we don't find out what happens next until July of 2013! In the meantime, however, Meth Mondays will continue as I ruminate over what has happened in season 1-5.1, and keep you updated on the progress of Wanna Cook? The Unofficial Companion Guide to Breaking Bad, the book I'm co-authoring with K. Dale Koontz for ECW Press. We hope to have it hit the stands in the spring of 2014, right about the time the complete Season 5 DVDs will be released. I think you're gonna like it, Readers Mine, I really do. See you next week!